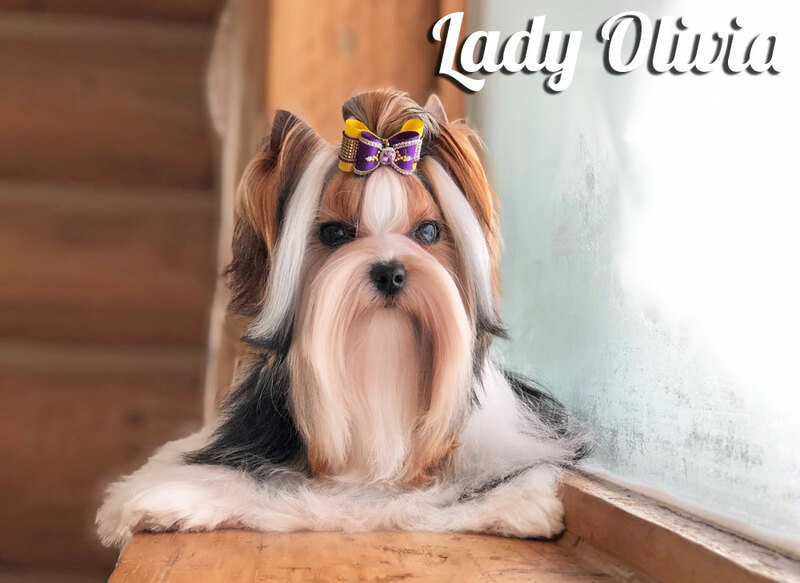 Rocky Mountain Biewer Terrier Girls - imported from Champion lines. 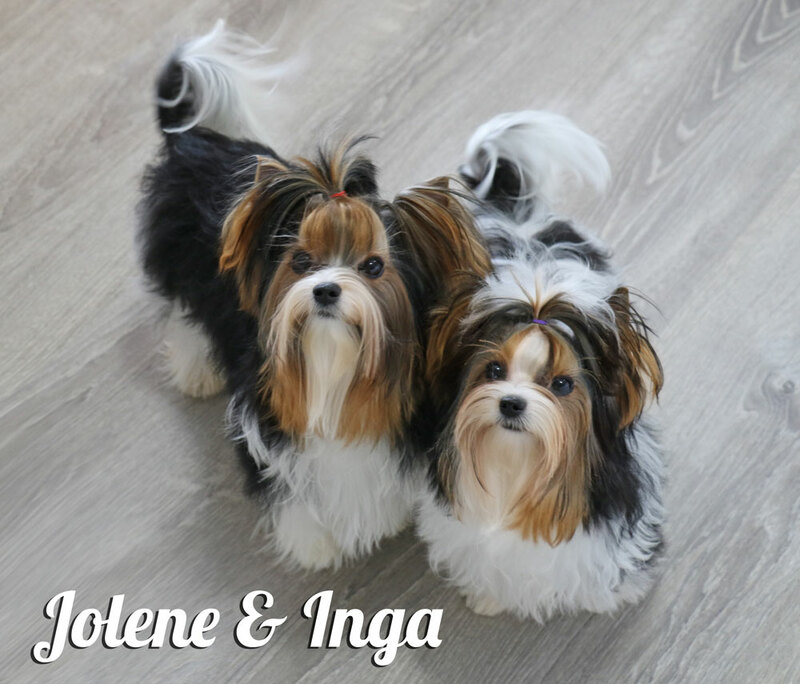 All our Biewer Terrier Girls are imported from European Champion Lines. Ms Soda, Ms Mary and Ms Zara already have their own Champion titles. Miss Soda's registered Kennel name is Haus Black Bist Krasotka. She is a Champion Standard Biewer Terrier and was born in Russia. Miss Soda is AKC/ FSS, BTRA and RKF registered, DNA profiled, Coat Color tested, MARS Wisdom Panel 3.0 tested. Her parents are Impulst Liebe Lord Vom Sternenschloesschen and Haus Black Bist Afrodita. 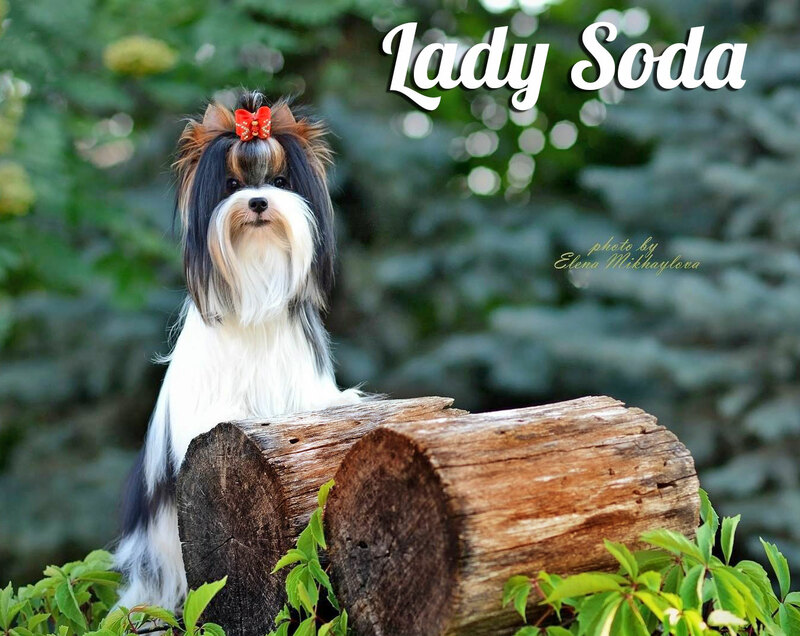 Have a look at Miss Soda's pedigree. Most dogs in her pedigree won several champion titles in major European dog shows and have ben evaluated by reputable show judges. Miss Soda is very outgoing and full of life. She solid and thick boned, very stocky and short. She has a thick and silky coat. She is about 5.5 lb. Please email us if you have any questions. 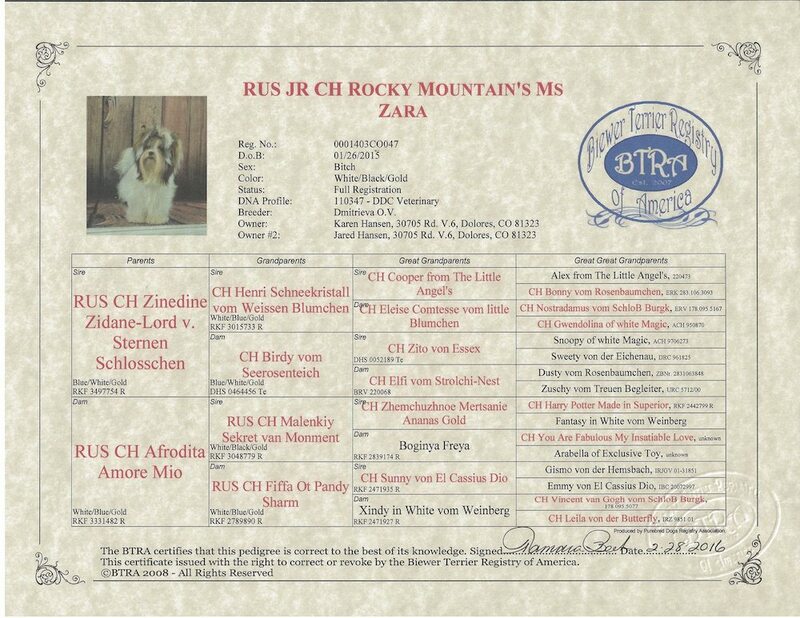 Miss Zara's registered Kennel name is Zara White Magic. 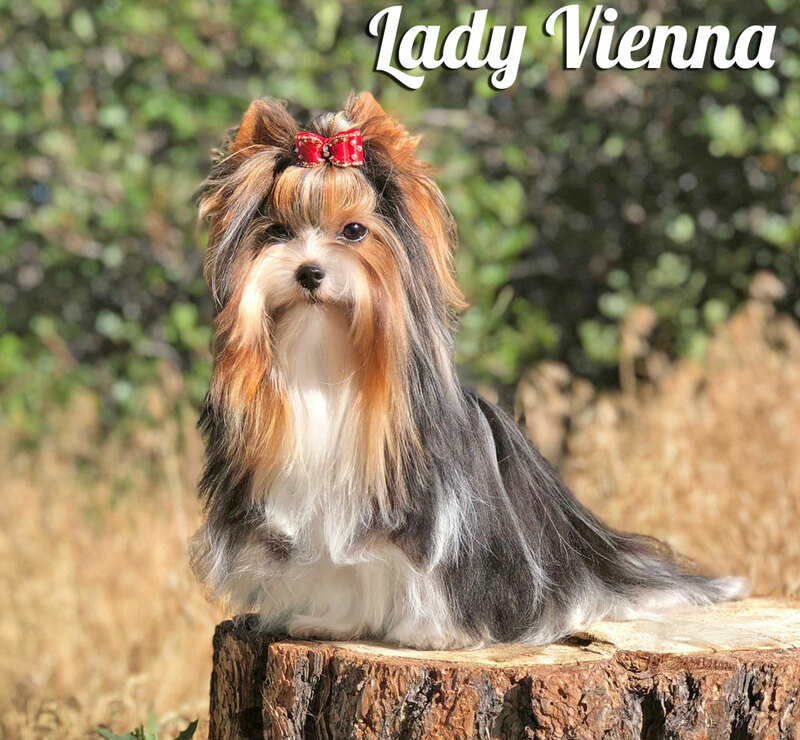 She is a Champion titled Standard Biewer Terrier and was born in Russia. Ms Zara is AKC/ FSS, BTRA and RKF registered, DNA profiled, Coat Color tested, MARS Wisdom Panel 3.0 tested. Her parents are Zinedine Zidane – Lord Vom Sternenschloesschen and Afrodita Amore Mio. Have a look at Miss Zara's pedigree. All dogs in her pedigree won several champion titles in major European dog shows and have ben evaluated by reputable show judges in Europe. Miss Zara is very even tempered, laid back and easy going. She is about 6 lb. and very solid. 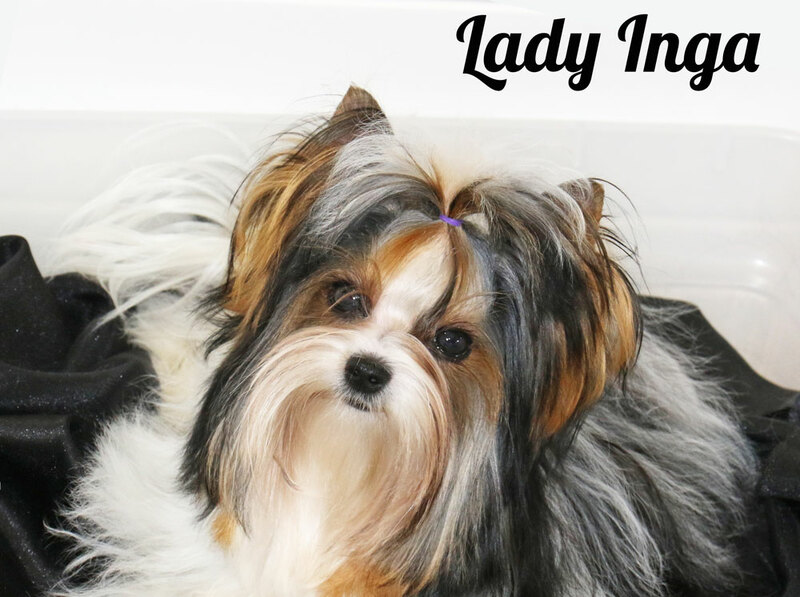 The has a beautiful soft, thick and silky coat. She has the doll face 🙂 - huge eyes and a very short nose. Look at one of her previous puppies. Daytona, Dakota, Domingo, Domino ... they all have Miss Zara's big, beautiful eyes. Please email us if you have any questions. Ms Miranda's registered Kennel name is Mirra Persona Grata. 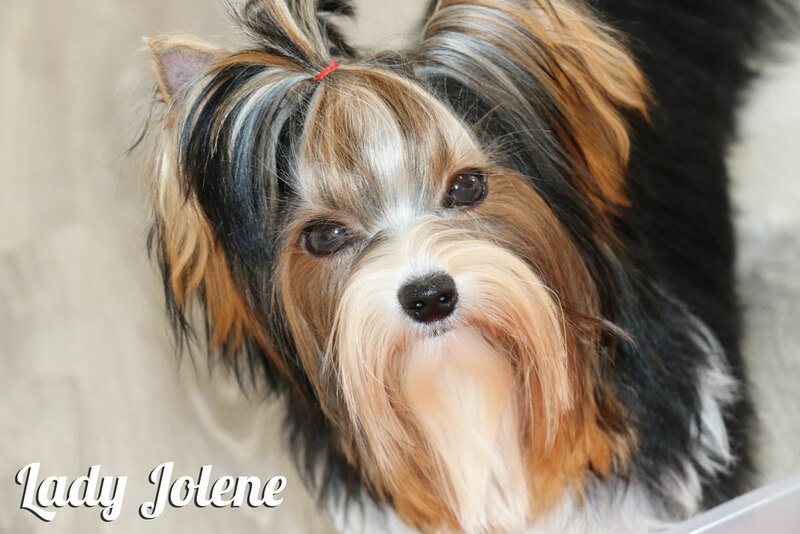 She is a Standard Biewer Terrier and was born in Russia. Larisa Ulezko is the breeder of Ms Miranda. 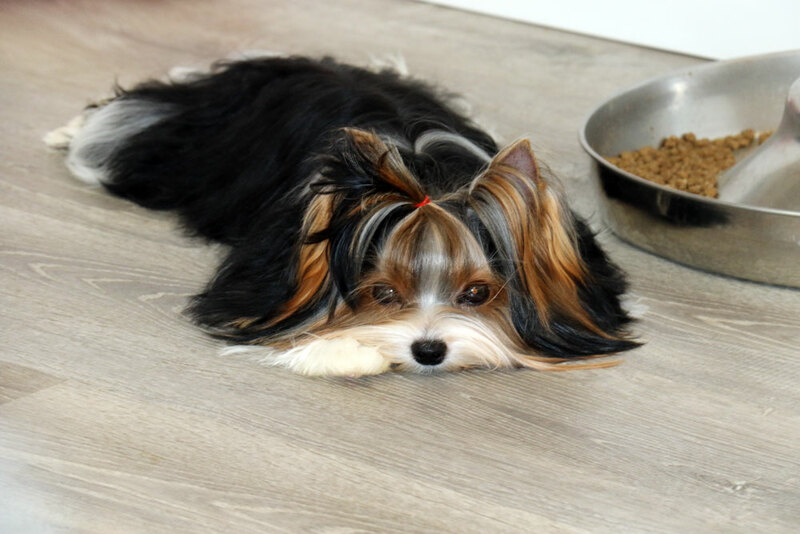 You will find Haus Black Bist dogs in many different countries as pets, breeders and show dogs. She has an excellent pedigree and comes from Champion lines such as Lord vom Sternenschloesschen and Gran de Cuerro. Ms Miranda is AKC/ FSS, BTRA and RKF registered, DNA profiled, Coat Color tested, MARS Wisdom Panel 3.0 tested. Her parents are Zet Hard - Lord Vom Sternenschloesschen and Maydzhenni Illis Mon Amur. Have a look at Miranda's pedigree. 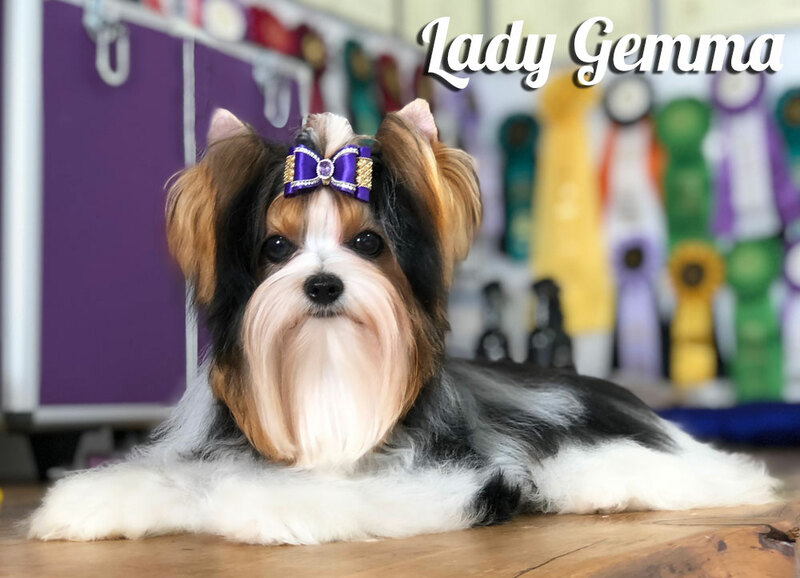 Most dogs in her pedigree won several champion titles in major European dog shows and have ben evaluated by reputable show judges. Ms Miranda is very even tempered, laid back and easy going. She is about 5.5 lb. and very solid. Please email us if you have any questions. Ms Mira's registered Kennel name is Beautiful Mirica. 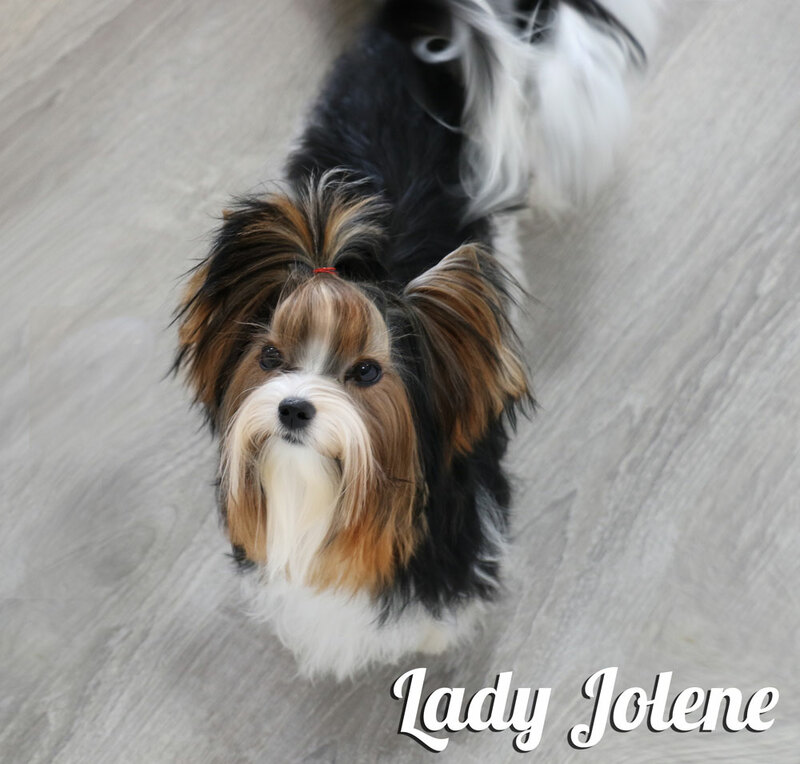 She is a Standard Biewer Terrier and was born in Russia. Ulyana Zhukova is the breeder of Ms Mira. Mira is a daughter of the famous "Woody of Sunflower". Ms Mira is AKC/ FSS, BTRA and RKF registered, DNA profiled, Coat Color tested, MARS Wisdom Panel 3.0 tested. Her parents are Woody of Sunflower and Utica Bonita. Have a look at Mira's pedigree. 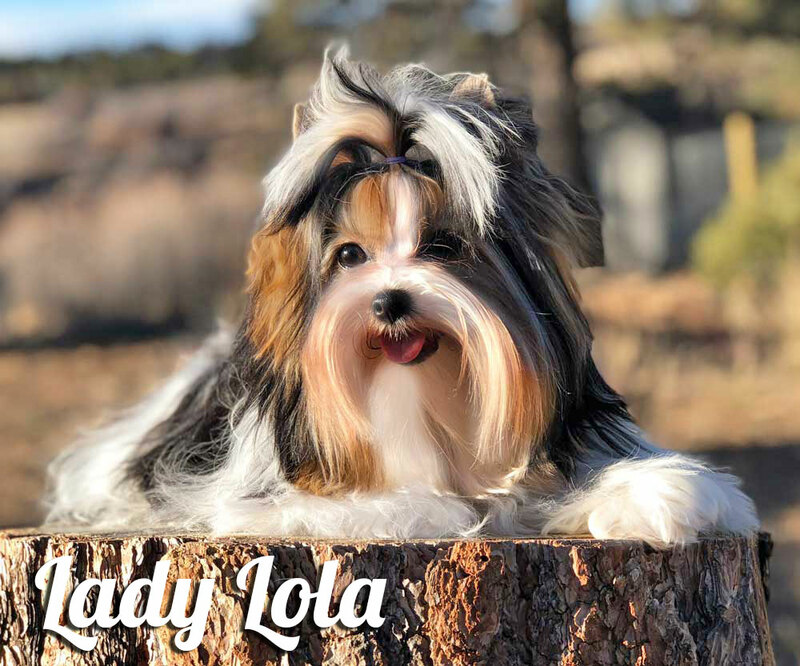 Most dogs in her pedigree won several champion titles in major European dog shows and have ben evaluated by reputable show judges. Ms Mira is very even tempered. She loves to play outside. We call her wild child. She is about 6 lb. and very solid. Please email us if you have any questions. Ms Yanna's registered Kennel name is Adriana Glamour Toy. She is a Chocolate Biewer Terrier and was born in Russia. 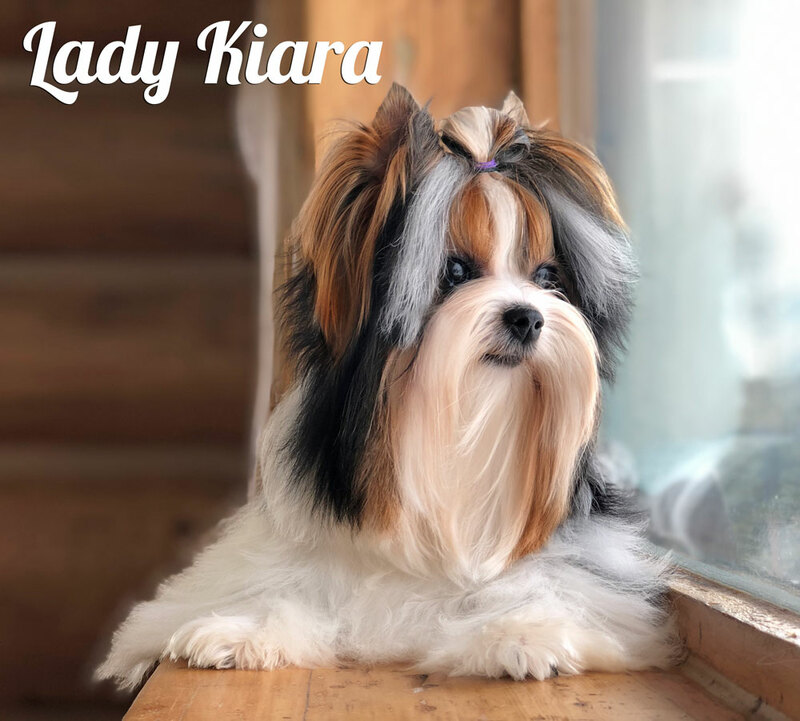 Elena Kniaseva is the breeder of Ms Yanna and Owner of the Kennel Glamour Toy. 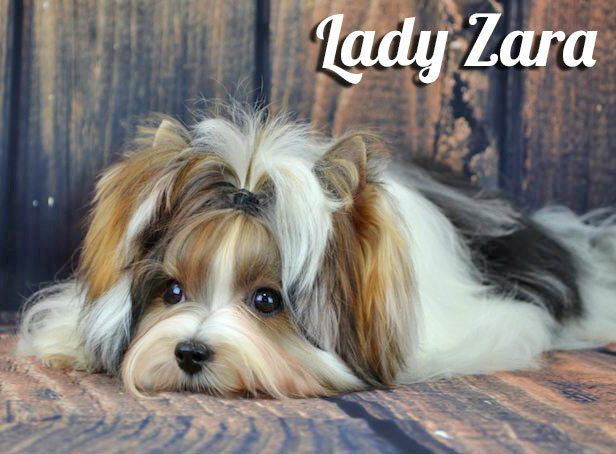 You will find Glamour Toy dogs in many different countries as pets, breeders and show dogs. Ms Yanna is AKC/ FSS, BTRA and IBC registered, DNA profiled, Coat Color tested, MARS Wisdom Panel 3.0 tested. Her parents are Glamour Toy Casanova and Glamour Toy Magnolia. 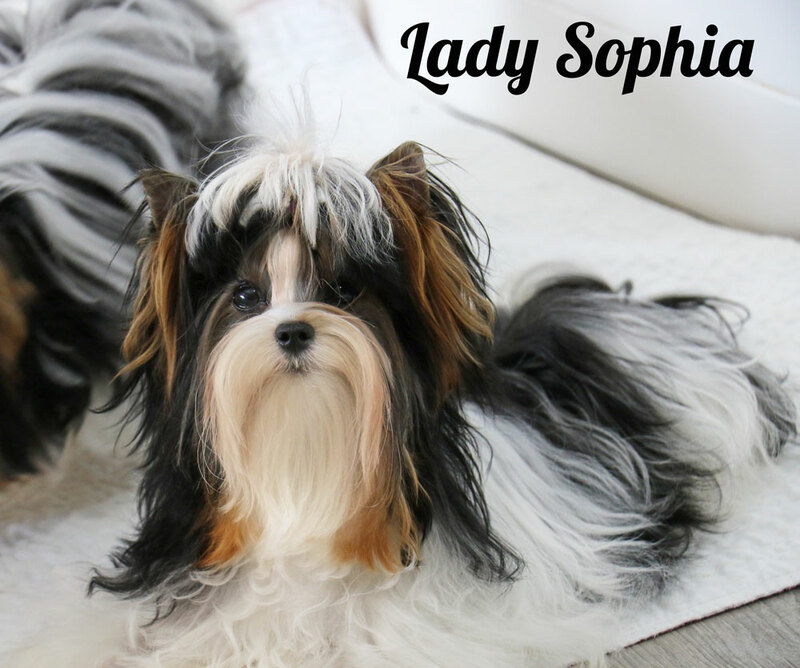 Many dogs in her pedigree won several champion titles in major European dog shows and have ben evaluated by reputable show judges. Ms Yanna is very calm and laid back tempered girl. She is about 6 lb. and very solid. Please email us if you have any questions. Ms Talia's registered Kennel name is Talia Daniel Konti. 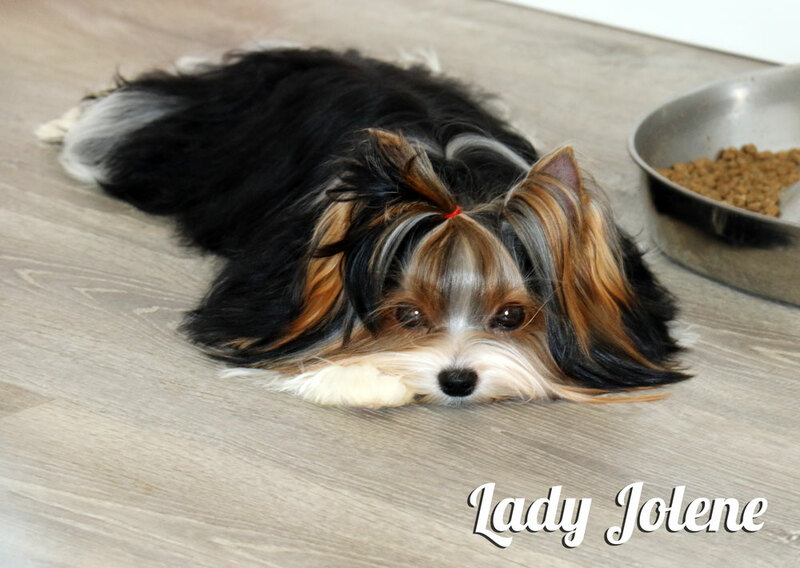 She is a small Standard Biewer Terrier and was born in Russia. Elena Pavlenko is the breeder of Ms Talia. Ms Talia is AKC/ FSS, BTRA and RKF registered, DNA profiled, Coat Color tested, MARS Wisdom Panel 3.0 tested. Her parents are Don Juan Iz Snezhnoy Skazki and Jamira Schneeprinzess Von Der Gartenstadt. Most dogs in her pedigree won several champion titles in major European dog shows and have ben evaluated by reputable show judges. Ms Talia is very even tempered. She loves to play outside. She is about 4 lb. and very solid. She has a very short nose and a super cute doll face 🙂 Please email us if you have any questions.